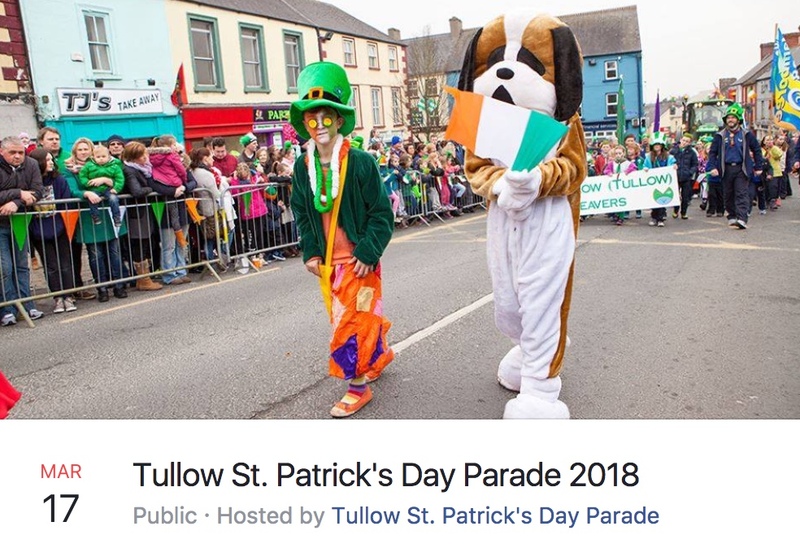 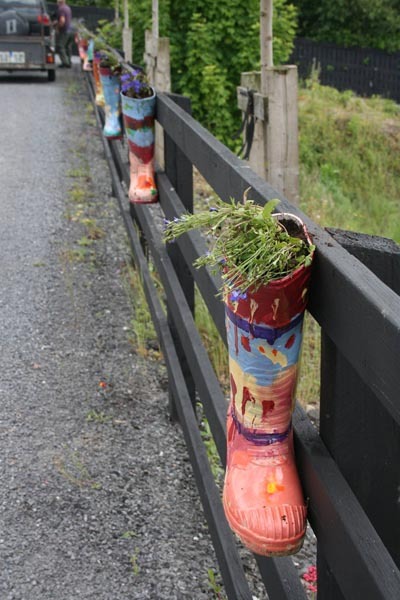 Sincere thanks to the Tullow Scouts for their wonderful wellies which are now hanging on the railing at the Inner Relief Road Car Park. 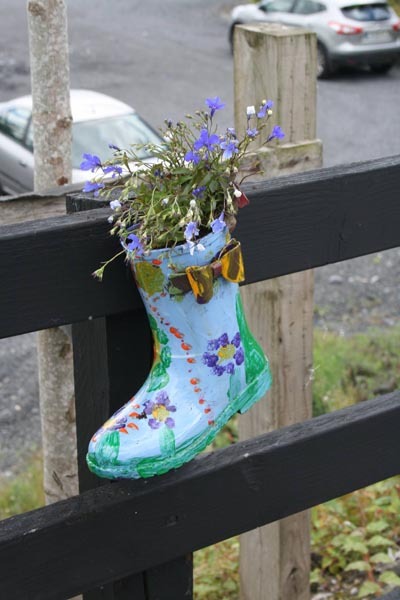 Instead of throwing old items out perhaps we could re-use them like these wellies to create new flower holders !!! 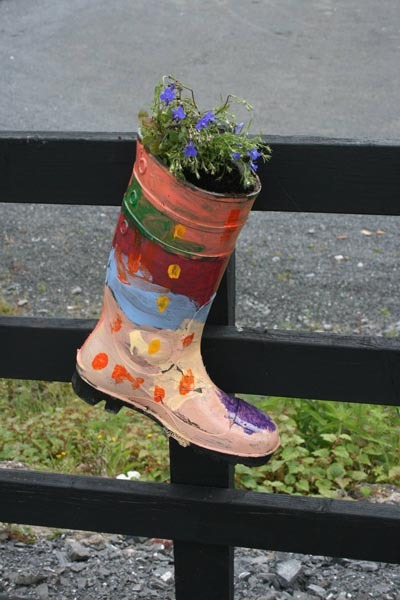 The Cubs are teaching us all a valuable lesson – don’t throw items away, try to re-use them and divert items from landfill.